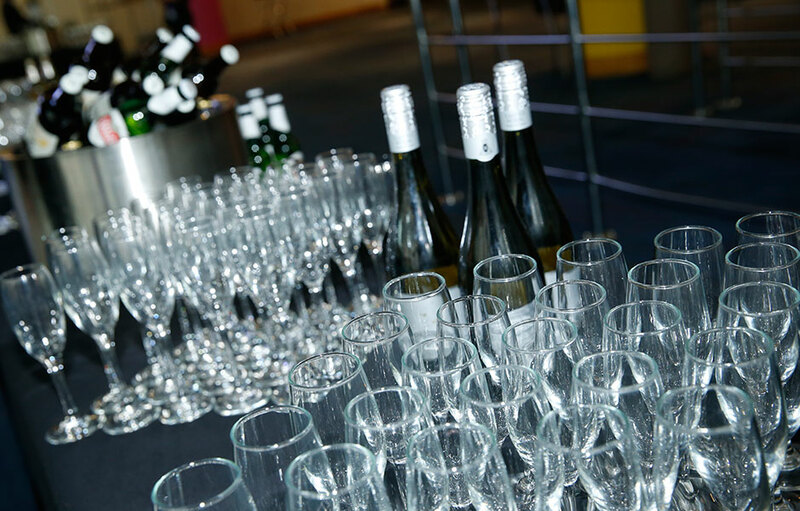 On Friday 15th May 2015, over 700 people from the learning disabilities and autism sector attended a Day and Evening of Celebration at Birmingham’s ICC, for The National Learning Disabilities & Autism Show and Awards. The events were hosted by British Institute of Learning Disabilities (BILD) and Care Talk magazine. Show delegates and Awards guests represented all areas of the sector, including inspirational people with a learning disability, charities, private care providers, residential and nursing homes and local authority adult social care departments. The one thing these individuals had in common was that they epitomised the unsung heroes of our communities. Without such individuals, quality, person centred support for people with a learning disability would fail. In the evening a glittering awards ceremony took place, celebrating excellence across the sector and paying tribute to those individuals who have demonstrated outstanding excellence within their field of work. Categories represented all areas of the sector, from frontline staff such as support workers and managers to people who have made an impact in other ways through training, breaking down barriers and best autism practice. The gala dinner started in style with a drinks reception, followed by a superb gourmet meal and entertainment from the fabulous Waiters Encore. The awards were presented to the winners by compere Steve Walls, and were followed by more celebrations and dancing into the night. Support for the event includes the Department of Health, the Association of Directors of Adult Social Services (ADASS), Care England, Care Quality Commission (CQC), Skills for Care, Social Care Institute for Excellence (SCIE), Voluntary Organisations Disability Group (VODG), as well other sector and commercial organisations. “BILD were delighted to host this very important event in partnership with Care Talk. The Show that took place in the afternoon – designed and delivered by people with learning disabilities led by Build for the Future, BILD’s group of self-advocates – shone a light on what the issues are in getting support right. But it was also a celebration, a moment where people with learning disabilities take the next giant step toward representing themselves, talk about what makes a difference to their lives and tell others about what works and, as importantly, what isn’t working. While much is still to be done, there is much support that is designed with people with learning disabilities and works in the right way. That’s what the evening’s Awards are for, to recognise those organisations and individuals who are working in the right way, providing support that puts the wishes of people with learning disabilities and autism at the centre of their support. Their dedication and hard work has an extraordinary impact on the lives of people with learning disabilities and their families. Their commitment helps people to live the life they choose, in their community, and ensures they are connected to their family and friends. “Social care work is one of the most difficult, and at the same time, one of the most spiritually rewarding careers. People who work in social care, make a huge difference to the lives of the people they work with, and are some of society’s unsung heroes. The judges were impressed with this organisations example of how they support and value staff. One particular note was the staffs exchange programme and action taken in response to their staff survey. A fantastic example of a mainstream employer who recognises the value and benefits of employing people with a disability. This employer has demonstrated a long term commitment to identifying the skills of the individual and matching them to the right jobs. An inspiring employer, Champion! Hayley clearly loves her role of senior team leader, she is passionate, imaginative and enthusiastic about providing the people she supports with the best support she can. A worthy winner! A passionate individual whose attention to detail and innovative methods means that would organise and plan monthly discos and weekly activities which are hugely successful. The judges for this award found themselves both delighted and inspired by the extraordinary work off all of these registered. All of those nominated demonstrated leadership, a passion to continually improve their services and a tenacity to get things done and make a difference to people’s lives. The judges would like to congratulate all that were nominated. You were all brilliant! Joanne’s passion for her job shines through. She has a ‘Can Do’ attitude and she adopts a hands on approach to encourage her staff to thrive and develop. Dawn has such amazing passion and compassion for her clients. The relationships with fellow colleagues, carers shone through. An inspirational practitioner with an amazing passion for patient centred practise with 30 years as a dedicated nurse who still cares passionately. We were extremely impressed with her passion, the range of different training she undertakes both with people with learning disabilities and the wider community. We were particularly impressed with the positive impact she has had on the lives of people in the last year. Tracey’s Passion, compassion, caring and pride in what she does made her stand out to sll the other excellent candidates. One of the best humblest people we had the pleasure of interviewing. An inspirational leader who has managed to reach the end game where providers are striving to be delivering choice based around the individual being at the core of everything. Hema touched the whole panel with her passion for the work she does; she was instantly engaging and inspirational. She smiled as she relived the pleasure of working with people in the simplest of ways to make a massive impact on their quality of life. What a shame the interview wasn’t recorded. It would make an excellent training resource! Marc took the judges on a journey from the initial vision of one person to staging an international rugby tournament. A truly inspiring tale that we are sure you will hear more of! This project identified a real need for support for people with autism in probation. By working in partnership with real drive and enthusiasm they have managed to raise awareness to over 160 staff in public services and developed a ‘buddy’ service for people with autism. Delighted to hear the passion and excitement they brought to their work. Malcolm is a retired police man supporting five complex, but independent individuals, each with their own features. He is an outstanding man who has a natural ability to make a huge difference and understands each individual. An absolute star! A great self-advocacy service delivering a wide variety of approaches to achieving better support, better health and better lives for people with learning disabilities or autism. For 40 years, Rex has championed the rights of people with learning disabilities. As a founder member of learning disability charity Linkage Community Trust, his drive and commitment to establish high quality education and vocational provision for clients has challenged and changed the way services are developed. He developed personalised services before person-centred planning was conceived and fought for people with learning disabilities to have the same rights to a fulfilling life as everyone else.